WindsorCityBlog: "This Is No Way To Run A City"
"This Is No Way To Run A City"
It is, dear reader, as plain as the nose on your face. We have pulled back the curtain and seen who the Wizard of Oz really is. It does not matter what the issue is any more----the border, the CUPE strike, infrastructure spending, the canal, the Tunnel deal, the sale of Enwin----Windsorites have a common problem in each of these matters. That problem is: Mayor Eddie Francis! We have a serious leadership vacuum that has burst out for the world to see. 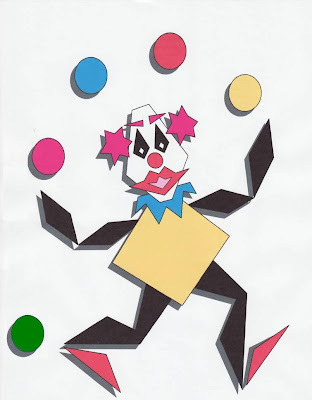 Eddie cannot juggle all of the balls in the air any longer. There are too many of them. He has dropped the first one and the others are sure to come crashing down around him. Who will lead this City in its time of economic difficulty? To whom do we turn now to help us gain our prosperity back? Who at the Senior Levels will take our Mayor seriously after he has been seriously wounded by his own ridiculous flouting of democracy? Which business person would invest in this City with a Mayor like Eddie who has antagonized his colleagues in such a manner. "Sometimes leaving money on the table may be a better opportunity than doing the wrong thing." If there is money lost to which Windsor would have been entitled, then there is only one preson to blame. It is the Mayor who for weeks could have been leading a discussion into what we should be doing, as other cities have done, rather than hiding everything until the last possible time on the last day to have decisions made so that he could force through what he wanted. It is a disgraceful and despicable action by an immature Mayor who uses "Council" so he cannot be fingered if something goes wrong but who will never share the glory if something works out. For someone who overuses the word "Council" so much, he has proven himself incapable of working as a team player. So much for what Governor Granholm's husband tried to teach the Mayor and Council before about getting along! Another waste of taxpayer money. By now, the vast majority of Windsorites have either seen this A-Channel News Video or read the Windsor Star story about the latest City Hall disgrace. The news has spread like wildfire. We now have aboslute proof of the contempt that this Mayor has for his colleagues and for citizens. We do not count at all in Eddie’s world. Watch Councillor Halberstadt's face. It is the face of a person who has finally understood what our Mayor has become from the time he was first elected and who has had enough. Welcome to the phonebooth Councillor. Bring along a few colleagues too. He said his reason for wanting to meet with the local politicians Friday was to point out that more than half of a preliminary list of Windsor projects submitted Wednesday — $96 million of a $182 million total — were “questionable” in terms of meeting Ottawa’s funding approval criteria." How would Watson, one of the most insignificant of all Conservative members, a backbencher, know any of this unless he heard this from a Senior member of the Government or a Senior bureaucrat? Please, none of this would have been finalized in only 2 days! Watson apparently claimed that his relationship with the Mayor, if he had to give a grade, would be "A+." What a transformation. What it says to me is that there is a lot more going on than we even know now. What deal has been struck between Eddie and the Feds such that money would be available for Eddie's pet projects of the airport and canal? Obviously neither Councillors nor citizens know that answer and do not know if it is a good deal or if we have been sold out. It is clear now that Eddie and the Feds made that deal when Minister Baird was in town a few weeks ago. It is clearly more than just Brighton Beach. By now, everyone knows that Eddie gave the canal plans to the Feds 6 weeks ago. I was told that this information came out as a result of a brilliant cross-examination of Watson by Halberstadt who literally exploded in anger when the information was finally disclosed by Watson. Even when Eddie I was told tried to answer for Watson, Alan would have none of it and was relentless in his questioning! 1) The Mayor's Office emailed Councillors at around 11AM Friday that there was going to be a 3 PM meeting. Yet Dave Cooke was able to drive from Toronto to make that meeting and a team of consultants had the time to make plane reservations. Why did the Mayor wait until the last minute to tell Councillors! How much has that trip cost taxpayers? Such arrogance. Such contempt. "$22 million in airport upgrades and $60 million for an underground stormwater basin without similar information." In other words, Council did not have information on about $130M worth of projects. But the Mayor did. Such arrogance. Such contempt. 4) Interestingly, Dave Cooke knew more than Councillors too which means that he too was "in the loop:"
Perhaps if spent more time doing his job at the University helping it to transform itself…. 5) As I posted previously, the Minutes of the Wednesday meeting are a revision of history. It did not reflect that Eddie lost on a 6-4 vote adding the canal at a cost of $44M to the infrastructure projects to be paid for by the Senior Levels. They will have to be revised to show that Eddie failed! Such arrogance. Such contempt. 6) The Friday meeting was adjourned and then restarted----who knows if the Procedural By-law was respected in that regard either. They had to wait for the Councillor formerly known as Councillor Budget to be contacted and to return since he had left the premises already. When he finally returned, the Mayor expected him to introduce a Motion to Reconsider. He did not do so and the Councillors were finally allowed to leave. 7) Several of the Councillors were considering walking out when the canal issue was raised but did not do so because their absence would have meant that the canal project would have been approved by the remaining Councillors. 8) It would not appear that the Mayor has shared the plans of the canal with his colleagues yet. Such arrogance. Such contempt. If you want to understand Eddie Francis, the most telling comment about him to me occurred when the CAW union members rejected their leadership’s recommendation to accept the Casino offer several years ago. I still remember him being shocked that the union members did not understand “the investment opportunity” that they might be losing by continuing the strike. He had no regard to the fact that what was important to them were the bread and butter issues! “While ignoring the canal project, council approved adding a $60-million item for a waterfront underground retention treatment basin to end sewage overflows into the Detroit River, an item for which the city was already in the process of seeking senior government funding. He does not understand that we are tired of his failed VISIONS and are more interested in the bread and butter issue that make this City a place where one can live. Roads and sewers are what is important to people, not spending money so that he can try to create a legacy for himself at taxpayer expense and further his career so that he can move out of here into the big-time when his mayoral term ends. It is March, 2003 all over again. Eddie Francis has become Mike Hurst. What is ironic is that Eddie lead Council against Hurst. He clearly has not learned from history as it is repeating itself. From that March meeting until he left office, Hurst never won a vote on Council in which he was interested. He generally lost 7-3 every time. Will that happen to Eddie? Yes, unless he changes dramatically, something it seems he is incapable of doing as he attacked Council on Eh-channel and in the Star article. His Council can no longer trust him. I do not know how they can work with him if he continues to carry on in this manner. Who can believe a word that he says now. What other deals are there out there that no one knows about and that are lurking in the shadows to surprise us all one day. Friday is the day that the Mayor of Casterbridge arrived in Windsor in the guise of Eddie Francis. Given his potential and our hopes for him in 2003, it is a shame watching as he self-destructs. posted by JoeBlog at 4:30 p.m.